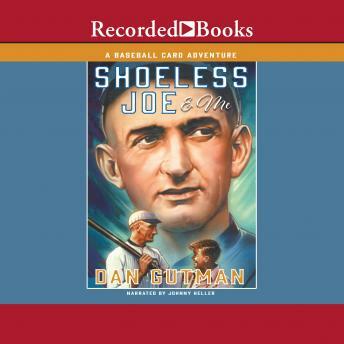 The sponsor of his baseball team tells Stosh about the bum rap Shoeless Joe Jackson got for his part in the scheme to fix the 1919 World Series. Now Stosh decides to use his special talent of traveling back in time to warn Jackson against becoming involved. The trouble is, some vicious gangsters stand to make a bunch of money if the fix is on-and they'll do anything to keep Stosh from interfering. Popular author Dan Gutman's previous Baseball Card Adventures include Honus & Me and Babe & Me.